Generic pharma drugs have made it possible for effective drugs to reach those who need it the most. They are cheap, easily available and cost efficient to manufacture. Their effects are comparable to branded drugs which are often expensive and difficult to procure. However, their benefits mean that there is an intense competition to get the maximum patient share amongst the generic pharma players. Customer relationship management is their answer to get ahead of this competition. One of the traditional ills plaguing generic pharma companies is the lack of effective regulatory process integration. This often slows them down in getting approvals for their medicines, clinical trials results verification etc. With the help of pharma CRM solution, companies can integrate regulatory process checklist that aid in hassle-free process right from manufacturing to distribution. Integration will lead to faster processing speed that will allow you to bring medical products out in the market before your competitors. A centralized information system is vital for the pharma industry to increase customer awareness about their generic products. Branded companies have the power of large budgets for advertising purposes. However, generic players can utilize CRM solution to manage the information flow to key stakeholders like doctors, health clinics and hospitals. A strong KOL management will aid in increased generic prescriptions and awareness of its benefits. The solution can also be used to tracking MR productivity to determine the most productive representative and reward or train accordingly. Proper inventory management is the hallmark of an effective. Any trouble or bottlenecks during the distribution process can lead to poor product reception and damage of reputation. CRM system can help you to manage the whole process so that you are aware when the expired inventory needs to be replenished for clinics, hospitals etc. Effective distribution and inventory management will help you to deliver the medicines at the right time. The above tips will assist you in getting the most out of your pharma CRM implementation that will help you to get ahead of the competition. 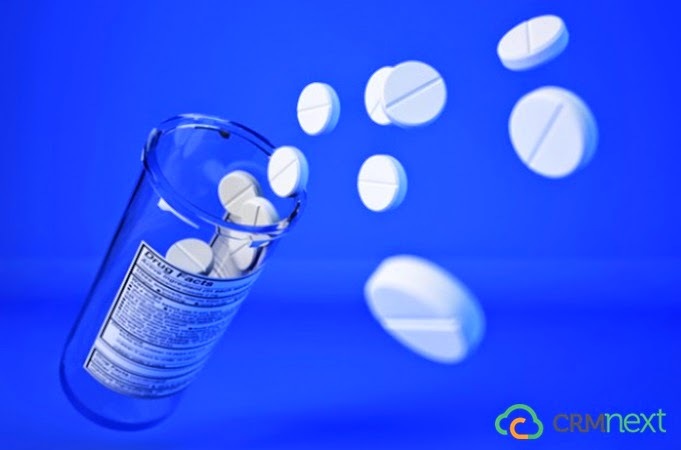 CRM solutions for pharma will help generic companies to increase prescriptions, get the most return on investments and build a strong generic medicine delivery network. These benefits will help you to get ahead of the competition and maintain that lead for long periods. A Pharma CRM blog where brands find their medicine for growth!